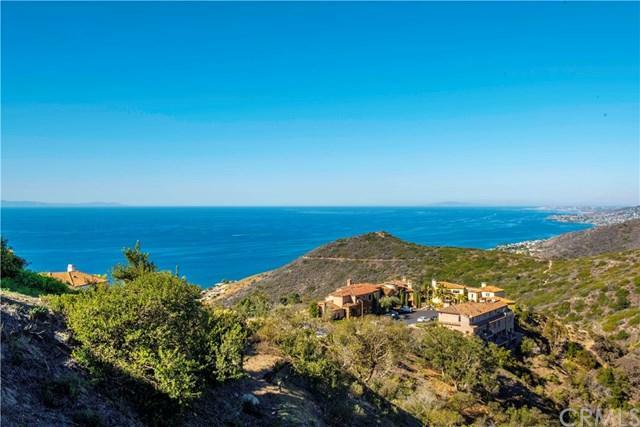 Designer perfect true PANORAMIC OCEAN VIEW custom estate in the prestigious gate guarded community of Laguna Sur. As you enter this residence you are immediately greeted with spectacular coastline and ocean views. Bright airy and majestic with sophisticated California flare. Features a newly remodeled gourmet kitchen with professional series Wolf, Subzero and Bosch Appliances. Family room with walk-behind wet bar. Library with elegantly detailed coffered ceiling. Four of the five spacious bedrooms are en-suite. The master bathroom boasts an oversized jacuzzi tub with jets where you can sit and enjoy spectacular coastline views. In addition, this property offers over 1,000 sf. of loggia style living space in the back with tremendous jaw-dropping Ocean Views, an entertainers delight. Just up the hill from some of Southern California+GGs finest beaches and the award-winning Monarch Beach, Ritz Carlton and Montage resorts; Minutes from the charm of downtown Laguna Beach and the newly renovated +G-Lantern District+GG in Dana Point. Seaview and Badlands parks, just outside the gates, offer scenic mountaintop trails and spectacular ocean vistas.